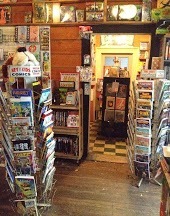 How Can I Go Jackson Street Books? 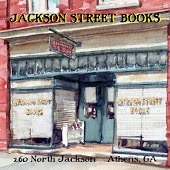 Where is Jackson Street Books in Athens on the Map? This location has 21 reviews from customers. I always love coming into this store whether it's to look for books, or just spend an hour browsing the shelves. The atmosphere is warm an inviting with old chairs scattered throughout the store and displays of suggested readings for people to choose from. I went in looking for two books, and within a matter of minutes they were found by a very informative staff member. There's an extended collection of not only books, but music, movies, and I'm sure that anything you were looking for they would be happy to point you in the right direction or try to order it for you. It's important to me to support local businesses and I feel Athens is lucky to be home to Georgia's oldest rare and used bookstore. 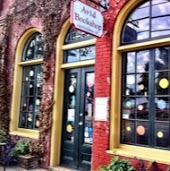 My little daughter and I went on an afternoon "hunt" at this delightful, old bookstore last Sunday. It being our first visit, we perused the aisles and found the children's section, where my 5 year old promptly settled in with a sweet treasury of Beatrix Potter's works. I was able to locate a few old classics we would need for our upcoming homeschooling year, and was pleased at the quiet, laid-back atmosphere of the shop. We were asked once if we needed any assistance, then left alone to inspect to our heart's content. While we did come in with a purpose, I had a chance to scan over the natural history section and appreciated the number of bird books (including birds of Georgia) I saw available. We thoroughly enjoyed ourselves and I wish I would've found this gem of a store months ago! 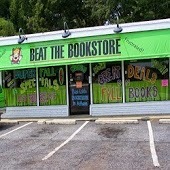 I encourage you to support this amazing local bookstore! It has something for everyone. I tend to gravitate towards their paperback sci-fi section, but you can also find literary fiction, religion, biographies, cookbooks, and more. Perhaps the most impressive section is their extensive civil war history collection. I go here seeking a hidden gem when I don't know quite what I want to read, and it hasn't disappointed me yet. I always find something marvelous. I meant to stop by for only 20 minutes, but on my way out the door I realized it had actually been twice that! It's easy to lose yourself browsing here. 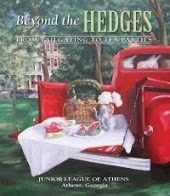 I collect books on a variety of topics and I always find hidden treasures at Jackson Books. From the beautifully and ornately hardbound editions to large volumes on photography and art to the rows of slightly yellowed science fiction paperbacks neatly lining dark wood shelves (that are fond reminders of my first childhood forays into a used book store) – this shop is a wonderful and rare gift. So few used book stores remain and this one is curated and managed well - I always find something I want and the atmosphere is welcoming and quiet and suited to an hour or so of sifting through volumes and discovering surprises. 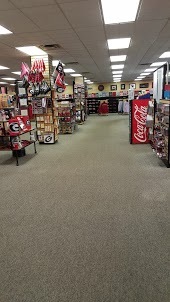 Anyone in the Athens area or traveling through would be well advised to spend a little time in this tucked away gem of a shop.